Harry Styles and Kendall Jenner Cuddle at Eagles Concert in L.A. — SEE PICS! 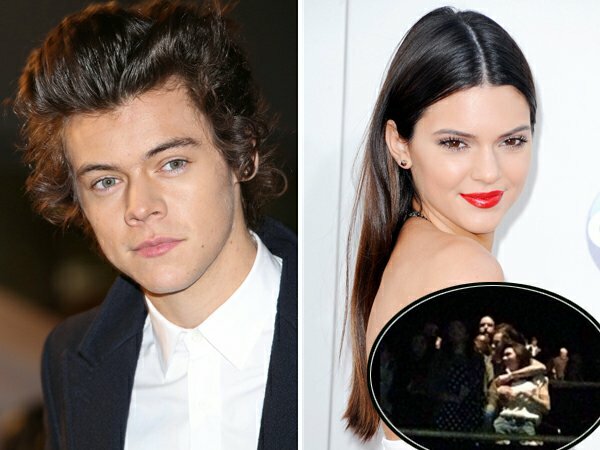 Harry Styles and Kendall Jenner’s romance heated up at an Eagles concert on Friday. The new couple cuddled at The Forum in Los Angeles, with photographs showing the One Direction singer holding Jenner in his arms as she leaned into him. Styles reportedly attended the show with Jenner’s family, including mom Kris and sister Khloe Kardashian . As I previously reported, the British heartthrob left town the next day to support pal Zach Braff at the Sundance Film Festival . This entry was posted in Hollywood Gossip and tagged Harry styles, Kendall Jenner. Bookmark the permalink.